The Eastern San Diego County Junior Fair (ESDCJF) began in 1947; since then, passionate kids from 4-H and Future Farmers of America (FFA) have been raising animals and taking them to auction. 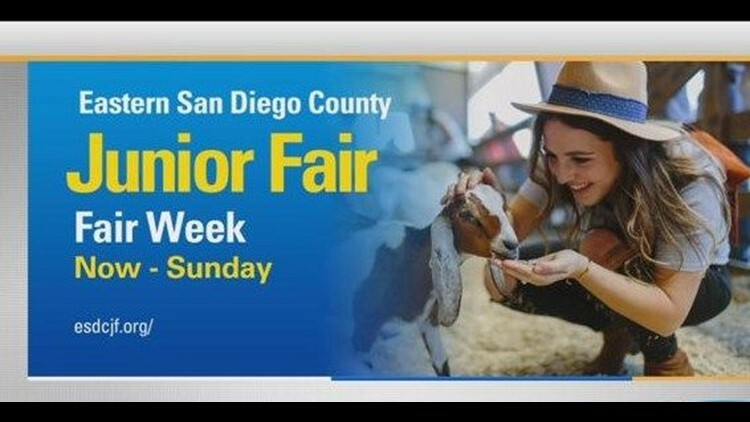 SAN DIEGO (NEWS 8) - The Eastern San Diego County Junior Fair (ESDCJF) began in 1947; since then, passionate kids from 4-H and Future Farmers of America (FFA) have been raising animals and taking them to auction. The ESDCJF is this week. It is free, open to the public and a great real-life learning situation for the kids who make money and earn scholarships. The fair is a non-profit organization supported 100 percent through volunteer labor and fundraising. News 8's Ashley Jacobs takes you to Lakeside to see what it's all about.